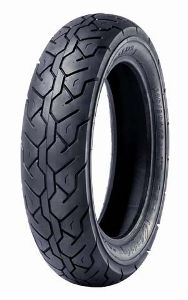 giga-pneumatiky.cz sells a large range of motorcycle tyres, which includes chopper tyres for your bike. We stock both rear and front tyres for those with a true need for speed. Select summer or winter motorcycle tyres and purchase a complete tyre set at a discount. The tyres that are on offer have been produced by many top brands from Adly to Hero and the like. Search our large assortment by motorbike type to find the right kinds of chopper wheels. We offer you some great discounts on many of these tyres and you might be able to benefit from free shipping.